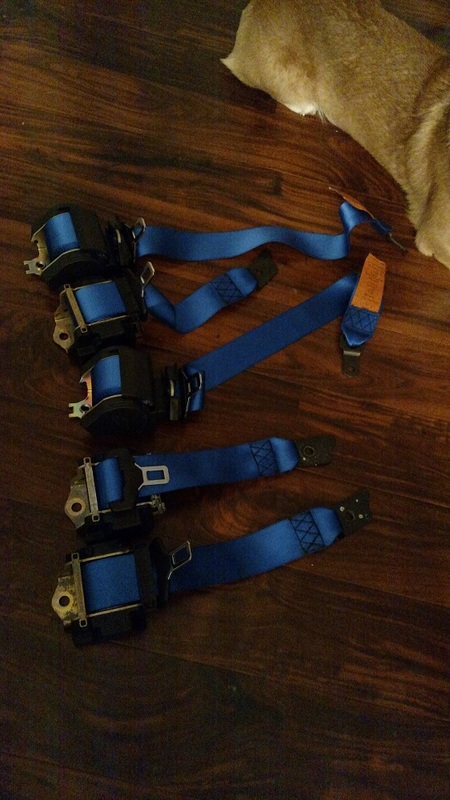 I bought this set of blue seatbelt last year but never bothered to install. This is a re-manufactured item and never used after webbing replaced. The color is well matched with Lemans blue (I have 03/2000 Lemans blue with blue/black two tone interior). These would look great on my 01 LMB on LMB too... Wish I could pick these up rn, haha. Look nice. Wish I could go with that color scheme. Where did you get these from? Been looking for a set to color match my Touring. Thanks. Specific to m5? Or will it work with an x5 or E46 m3? Manufacturer or source where you picked them up would help if you have it, it'll probably answer a lot of my questions. Pm me, thanks man!!! reverse you are not PM'able - how to contact? - I had a webbing seller to replace the webbing using a set of used e39 5 series seatbelt assemblies. I don't know if this can be usable for different models - 3 series or x series.